The Big Game is coming this Sunday but if you’re on a low-salt, low-fat, low-sugar diet, most traditional game-day munchies are out for you. 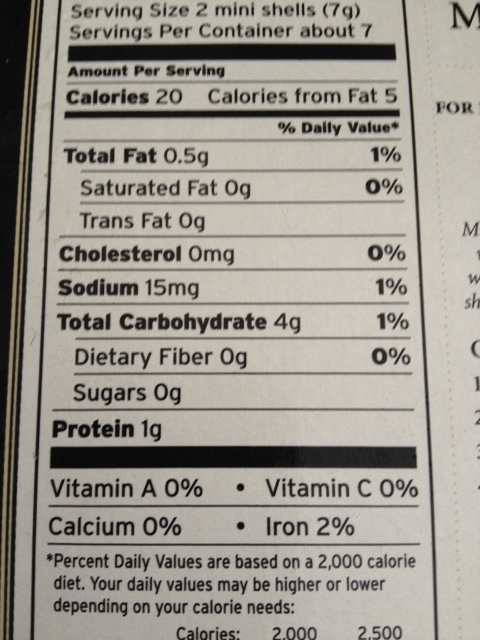 I’ve written before about looking for low-salt potato chips and salt-free taco chips, but even with those you still have to worry about fat content. 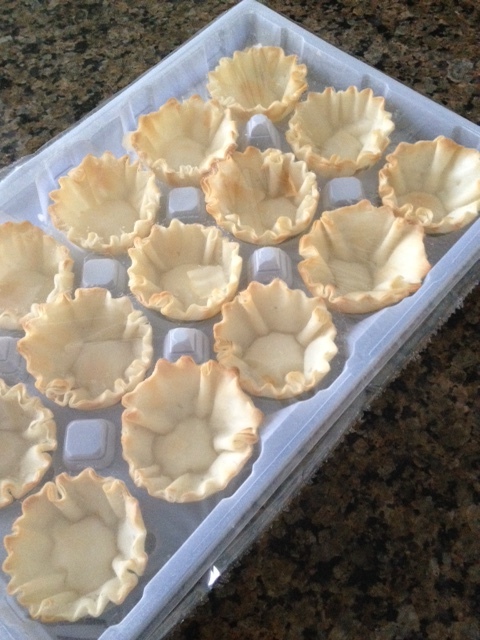 But recently I came across these mini puff pastry cups. Two shells have only half a gram of fat and 15 mgs of salt, so you can actually eat a bunch and not consume all that much fat and salt. Fill them with salt-free treats like cut-up tomatoes or pieces of shrimp. Or make something hot (watch for a recipe for my low-salt salsa, tomato, mushroom filling later this week). These mini cups are low in fat and salt and sugar-free. Fill them with salt-free treats for Super Bowl munching. The ones I bought at a Safeway are already cooked and sold frozen. Thaw them to eat. If you fill with anything wet, like salsa, eat them the same day or they get a bit soggy in the frig over night. Let me know if you try Serena, baking isn’t my thing, too much measuring involved. I like to cook and add ingredients more by feel than measure.